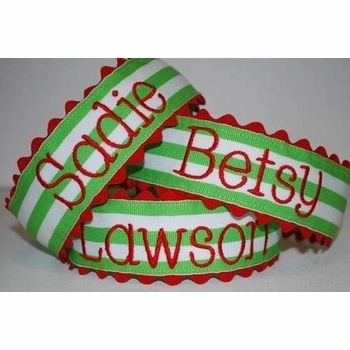 To complete any Christmas outfit, this green/white stripe headband is darling. Delicate ric rac trim in red along edges and made from quality grosgrain ribbon. 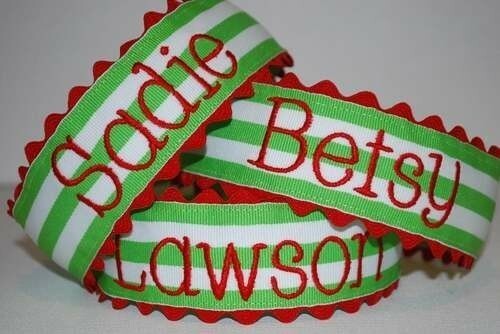 Made with a 1 1/2 inch wide lime green & white striped ribbon, trimmed with red ric rac, sewn inside is a plastic headband. 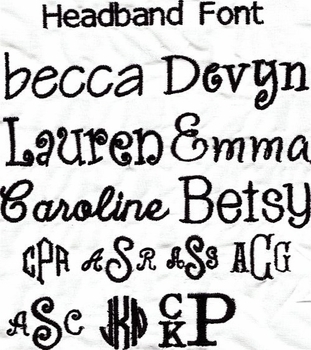 Embroidered in red thread is your little one's name...CUTENESS!!! 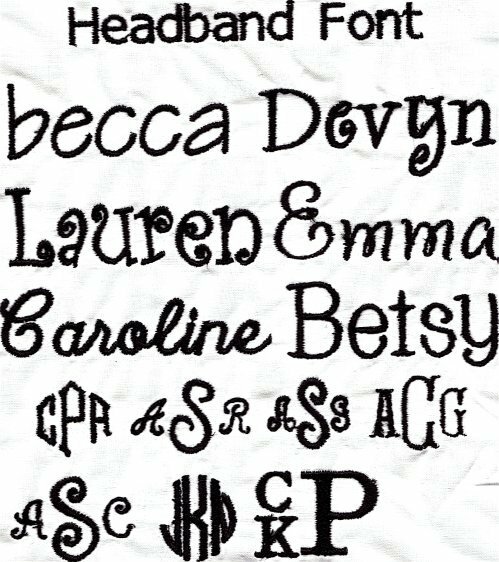 While we do offer hair accessories for children, the headbands are universal and can be worn by adults as well.